It’s Free & Open Source! Let’s get this one out of the way! The Laravel PHP Framework is free, which means I don’t need to pay anything to use it and the cost is reflected in a lower price for a web app! It is also open source and very actively developed on GitHub. 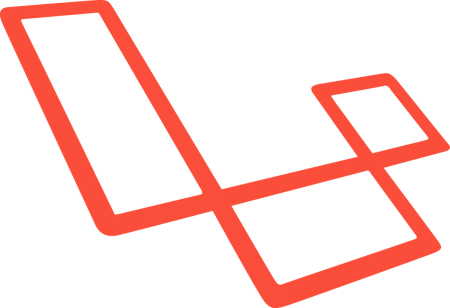 Being actively developed means that any security issues and bugs are patched very quickly and also the community behind the Laravel PHP Framework is massive! There are hundreds of sites created just for it! And I’m done! Laravel also has a lot of helper functions that make life so much easier! One of my favourites is str_plural which means I can pass through the singular version of a word and a number. If the number is not 1 then the framework just converts the string I enter to it’s plural form! And it take into account all the weird words the English language gives us!! The Laravel PHP Framework also uses the MVC design pattern which is very useful for separation of concerns. This means that code can be kept a lot cleaner when compared to a traditional PHP web application. What’s more is that implementing other useful patterns and design methods is a breeze! There is a package that makes creating Modular code so much easier and you can easily use the Repository Pattern with Laravel. Even smaller web applications that don’t necessarily require any major design patterns can benefit: Laravel’s Form Requests which help clean up your Controller’s by separating validation and logic! Whilst all of this may not be important to a client directly, it does reduce the amount of work required on a project which means a lower price! Laravel also comes with so many built in services! It makes sending emails a breeze and can even let you queue emails to be sent at a later time! It also comes with support for online payment methods which is super useful for creating web applications that require user payment, such as a hotel’s booking system. Other useful features that I use a lot are it’s Task Scheduler & Built in Auth System. Both of these make my life so much easier as a developer because it saves so much time! Contact Me For Help Building Web Apps! If you need a web app built, no matter what your looking for, then be sure to contact me! I will do my best to help you with your idea and get it up and running as soon as possible! P.s…I’ll most probably be using the Laravel PHP Framework! You can also view all of my past work by clicking here!